We’re all guilty of happening upon a website from which we’d like to quickly exit. Even if just the result of an inadvertently clicked link, our travels on the web will always consist of visits to sites which are best tucked in the remote corners of our memory. 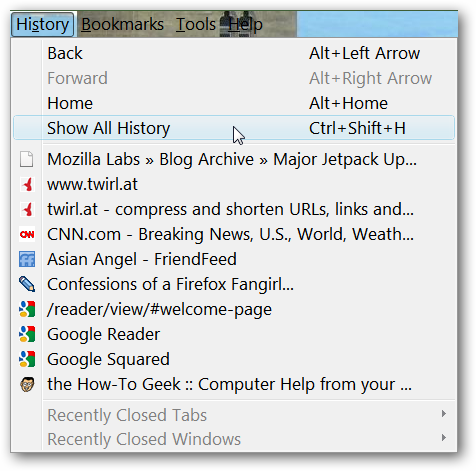 If your internet adventures are taken with Firefox, here is a quick way to expunge from your browsing history those websites which you’d no sooner forget. In the address bar, begin typing the name of the website. In the example below, we’re ridding ourselves of the “CNN” url. Even before the full address is typed out, you’ll notice that the website – or several selections – will drop immediately beneath the address bar. Highlight those selections you’d like deleted. Once highlighted, press the “delete” button on your keyboard. Doing so renders that site obsolete, as far as your browser is concerned, which becomes evident when attempting to type “CNN” in the address bar again. Slightly more involved than the first method, this process sees you open your “history” window and review the entire history of your browser’s romps about the internet. 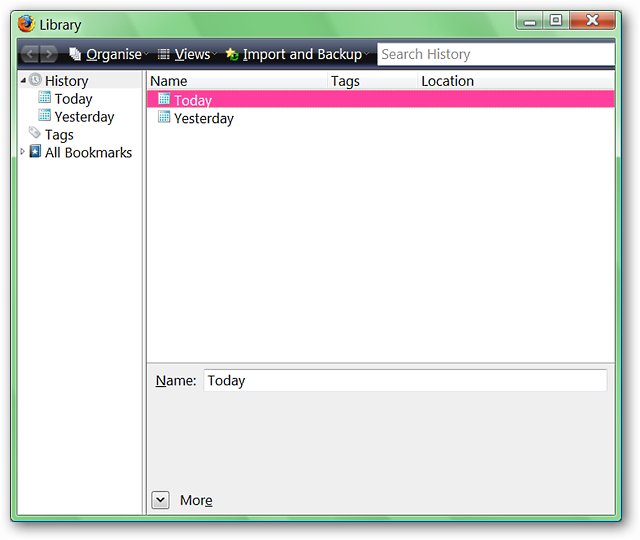 To open it up, look at the menu bar, where you will select the “History” option. From that drop down, click on “Show All History,” which opens the History Library Window. As you’ll see, once opened, you can review your history in its entirety. Looking at the history, you can select the website you’re seeking the removal of. Right clicking on the website will bring up a window that affords you the option to “Forget About This Site.” Like before, we’ll use the “CNN” example. After its removal, the only way that site will return to your browser’s history is if you return to the website. While these two methods will successfully clear your history of any sites worth forgetting, it’s best to be mindful of where you’re visiting, should you ever find that you need to delete a website from your history.